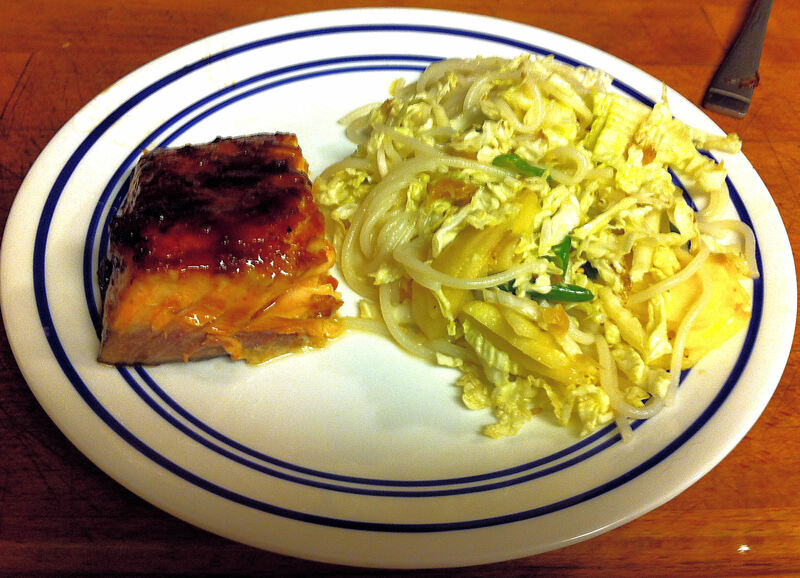 I had decided to have salmon teriyaki for dinner on a week night. Usually I would serve rice and Japanese pickles with this. I decided that I wanted something different, maybe some kind of Asian salad.